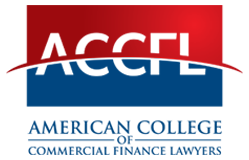 The College recognizes outstanding achievement in the field of commercial finance law through several awards. Please click on the links below for more information about each of the awards. Prior to becoming the Chester Rohrlich Professor of Corporate Law, Finance and Taxation at New York University School of Law, Homer Kripke served as Assistant General Counsel at The CITGroup, Inc. for 17 years. An expert in secured transactions, Professor Kripke also mastered securities law and accounting, in addition to being President of the Association of Commercial Finance Attorneys, Inc. from 1963 to 1965. Having contributed to the development of American commercial jurisprudence throughout his entire adult life, the College has deemed it particularly fitting that our lifetime achievement award be named in Professor Kripke’s honor. The Homer Kripke Achievement Award recognizes a career of noteworthy leadership and a history of exceptional dedication to the improvement of commercial finance law and practice. Award recipients have contributed to, and often changed the course of, commercial finance law and practice through activities that have had a lasting and significant impact. Grant Gilmore was a co-Reporter for the original Article 9 of the Uniform Commercial Code. He authored the classic treatise on secured transactions, and taught at several schools including Yale Law School and Columbia Law School. Professor Gilmore authored a number of books on commercial law, including secured transactions, admiralty law, and contract law, including his survey and criticism of contract law, The Death of Contract. This award, named in Professor Gilmore’s honor, is given when the College identifies superior writing in the field of commercial finance law. The ACCFL Special Service Award is renamed in honor of Fellow Harry Claude Sigman, an eminent and distinguished, internationally recognized attorney who embodied the mission of the College. Mr. Sigman passed away in August 2017. The award is presented to Fellows of the College who have made significant contributions to the College’s goals by sharing their knowledge and promoting the development and improvement of the practice of commercial finance law. These contributions include developing and promoting the enactment of model laws, such as the Uniform Commercial Code, developing authoritative model agreements for use by practitioners, and significant efforts in the areas of continuing legal education. Richard Brown and Gary D. Chamblee received the Special Service Award in 2011 for their leadership in the development of the ABA Business Law Section Model Intercreditor Agreement. More information about Richard and Gary’s award can be found here. Ernest Bland Williams III and Jeffrey S. Turner were recognized for their many contributions to the College and continuing legal education in commercial finance law. * EIII was one of the founders of the College in 1991, and served as its first president from 1991 to 1993. Without his guidance and wisdom, the College would not be in existence today. EIII also taught and wrote on commercial law topics. EIII passed away in 2008, and a tribute to him can be found here. * Jeff Turner was a prolific writer and educator in the field of commercial finance. He served as Chair of the ABA Business Law Section Commercial Finance Committee and in many capacities in leadership of the LA County Bar Association and the State Bar of California. Jeff was co-author of a leading treatise on asset based lending as well as the author of numerous articles and a frequent CLE speaker. Jeff passed away in 2004, and a tribute to him can be found here. A more detailed description of EIII’s and Jeff’s many contributions and achievements can be found here. The Special Service Award was given in 2002 for Distinguished Service in the Development and Nationwide Enactment of Revised Article 9 of the Uniform Commercial Code to William M. Burke, Professor Steven L. Harris, Professor Charles W. Mooney, Jr. and Steven O. Weise. The development and enactment of Revised Article 9 of the Uniform Commercial Code was a landmark achievement in commercial finance. Revised Article 9 became effective in almost all states on July 1, 2001, and is currently effective in all 50 states, the District of Columbia and the Virgin Islands. This major update to the most significant law ever to affect secured lending was drafted by a Committee chaired by William M. Burke. Co-Reporters Steven L. Harris and Charles W. Mooney, Jr. were aided by Steven O. Weise, the American Bar Association advisor to the Committee. Following enactment, these lawyers continued their efforts toward the successful enactment of the law.